Caden is a creative agency, business incubator and event space dedicated to the evolution of art, entertainment & storytelling. 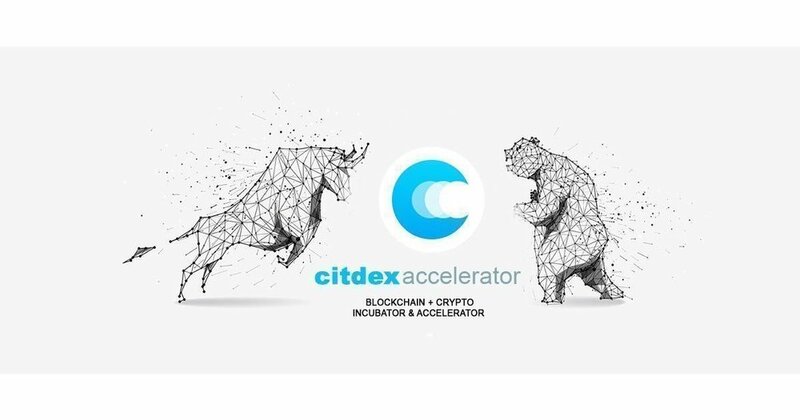 Citdex is a global formation of technologists, rebels, entrepreneurs, regulators, and enterprises building the infrastructure, applications, and practices that enable a decentralized world. Jahani and Associates (J&A) is a privately held investment bank headquartered in New York City. We specialize in the intangible assets of the healthcare and software industries. We provide capital raising advisory, M&A advisory, and management consulting services to clients all over the globe. The Associates is a business incubator and event space with a myriad of investment opportunities for angel investors and crypto investors. Light Node Media curates the latest Blockchain events, news, coin prices and ico listings globally. Light Node Media is the one stop shop for all things Blockchain. Light Node Media also hosts bi-weekly meet ups in NY in addition to smaller niche Blockchain events worldwide such as Blockchain Basel in Miami, FL. Light Node Media provides its clients with PR , digital marketing, telegram marketing, meet up exposure and private dinner events. Craig Shelly takes the luxury and swiss craftsmanship of modern timepieces to the next echelon. Starting from the dream of two high school sweethearts, they have carved out a place for theirselves in the top tier of the world’s fashion and jewelry designers. They create modern, stylish watches inspired by European design that have pleased customers from all over the world for almost two decades now. Whether you desire classic sophistication or more of an avant-garde look, they have pieces to suit you. They can even create custom pieces to commemorate an occasion or fit your unique style. Their mission is to change the way you think when it comes to luxury watches. Passport Club Travel takes a unique and modern approach to marketing the luxury lifestyle and high end travel. They provide an array of different services in the luxury travel field and their growing team which now consists of a video production specialist, professional travel photographers and bloggers. . They create elite digital media and content for online, and social media. They only want to offer their travelers the best in Luxury Travel. Unifi Biotechnologies is a private holding company that exists to catalyze successful collaborations among scientists, investors, and entrepreneurs to develop next generation biotechnologies for clinical and commercial applications. FinTech4Good seeks to co-create FinTech and Blockchain solutions that contribute to the achievement of sustainable developing goals. To facilitate this mission, they connect innovators with their global network in North America, Asia, Europe, Africa and Latin America. Their services include but are not limited to thought leadership, market entry advisory and co-investment on Blockchain and FinTech. From 2016, they have established a number of blockchain labs, including Insurance Blockchain Lab, Smart City Blockchain Lab and Financial Inclusion Lab. Established in 2015 and located in the heart of Soho - their digital design agency builds amazing websites and mobile apps, as well as helps clients with their corporate designs. Kryp Network presents a solution that will introduce cryptocurrency to the public and will extremely simplify the introduction to the system of crypto currency circulation for the basic user. The main elements of Kryp Network are: KrypATM, KrypExchange, KrypCard, KrypCredit, KrypWallet. Essentially Kryp Network infrastructure creates a new dimension for payment – through cryptocurrency. InList is a members-only mobile application for discovering and booking curated nightlife and special events in over 45 cities around the world. CEO Space is a membership community that provides access to the connections business owners need to accelerate their business. WCC is the world’s most interactive and engaging conference in the cryptocurrency and blockchain space. The venue is located in sunny Las Vegas, Nevada at the beautiful Aria Hotel and Casino Resort with over 200,000 square feet of meeting and exhibit space. We expect between 5000-6000 attendees and over 150 sponsors and exhibitors. At Tokenmatch, an elite group of ICO teams present to small groups of investors that have the capacity and mandate to deploy capital. Investors come by invitation only and ICO teams are preselected through a rigorous process. The small room is the ideal setting to interact, provide and receive feedback, negotiate deals in one day. Bitcoinist.com is the utlimate resource for bitcoin and blockchain industry news, reviews and education. Silicon Valley Blockchain Society (SVBS) is an exclusive, invite only, member driven organization. Headquartered in San Francisco, SVBS is now a global organization with active chapters throughout the World. Crypto Briefing (cryptobriefing.com) is a crypto research and news media company. With over 600,000 monthly visits, we focus on bringing real news, deep research analysis and unfiltered opinions to the blockchain investment community. WalletInvestor.com is a website that displays cryptocurrency market cap statistics, price changes and does Machine Learning (AI) based price predictions.